Missoni for Target was not the first time our company was bombarded by fervent shoppers in search of limited-time only merchandise. In February of 1946, Dayton’s (the company today known as Target) placed an ad in the Minneapolis-Star Journal that sent post-World War II women into a frenzy. Despite frigid blizzard conditions, an estimated 20,000 people gathered around the Minneapolis department store in the wee hours of the morning. What could have caused so many people to stand anxiously waiting in the freezing cold? Nylons. You might be thinking, Nylons?! 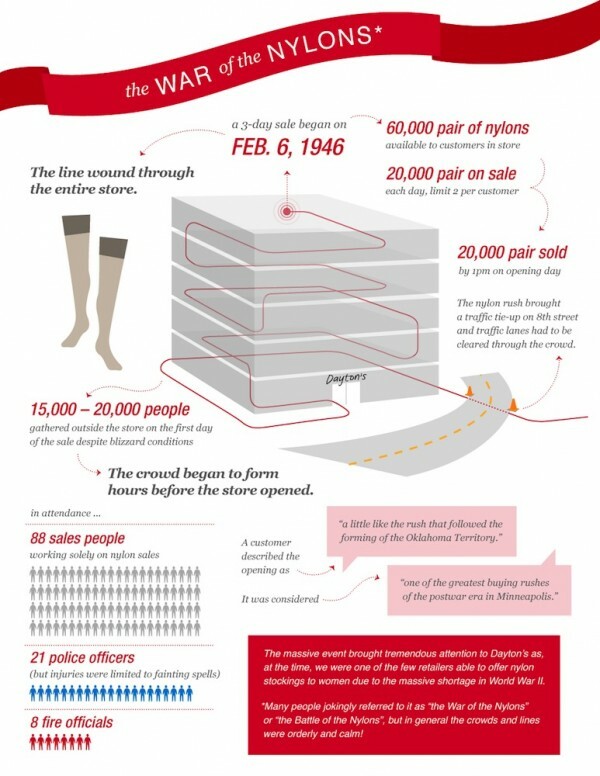 May sound strange today, but national ration laws during WWII left most American women without nylons, making pantyhose a coveted rarity. 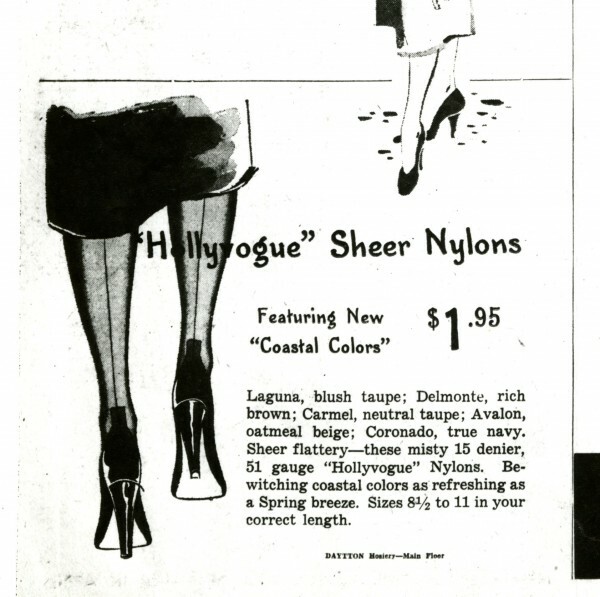 Similar to silk-stockings and at a more attainable price, women desperately missed the fashion staple during long months of war. The nylon shortage was real – but despite the scarcity, Dayton’s quietly acquired an enormous nylon inventory. So what happened after thousands of people showed up on Dayton’s doorstep? The below infographic explains it all.